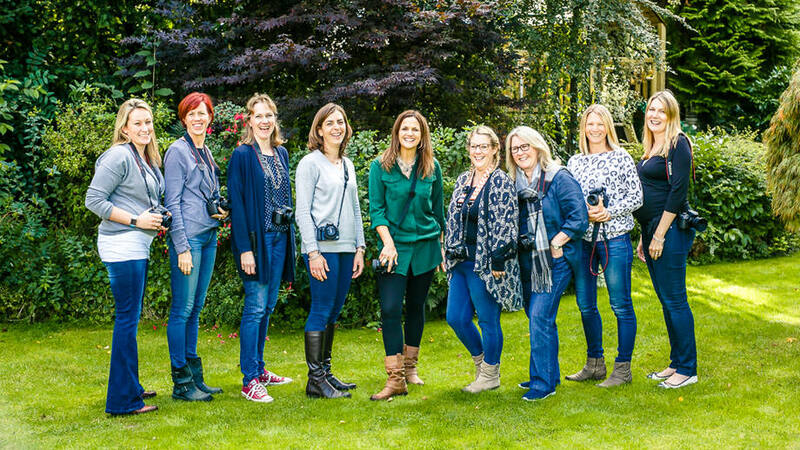 A few weeks ago I had a group of lovely mum’s in my home in Hindhead, Surrey for the morning for my ‘Photography for Parents – the next stage’ workshop. I absolutely love teaching this workshop. It’s practical and interactive, the parents get lots of time to practise the new skills they have just learnt on each other. (That’s me in the dark green shirt in the middle in case you weren’t sure!) Thank you to my assistant Vanessa for taking this photo of us all. Here are some of the comments from the feedback forms…. If you have attended my beginners ‘Photography for Parents’ workshop or taken my online photography course, and are keen to learn more, then you could join us on my next follow on workshop on 4th February. There is just one spot left so be quick! Here are all of the details. Click here to see a few more behind the scenes photos from one of these courses at my home earlier in the year. Have a great week. And make sure you get out in the leaves and take lots of photographs!